Our esteemed clients can avail from us a quality-assured range of Batch Printing Machines as per their exact requirements. Team of experts designs and fabricates these printing machines in compliance with the international quality standards and clients' requirements. 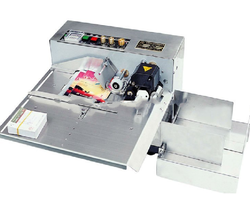 These batch printing machines are widely known in the market for their efficient functioning, durable standards, easy installation and defect-free nature. Our offered ranges of Tin Coderare exclusively finished and based on latest market demands. This Tin Coder is known for its unmatchable quality. 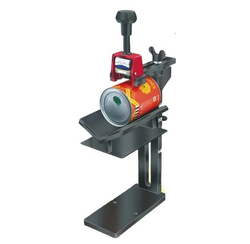 Moreover, the offered Tin Coder is extensively used for marking on metal/plastic drums and other non porous surfaces by using specially developed PROTO coding inks. We are one of the most successful and reliable companies in this line of work of manufacturing, supplying and exporting for several supreme quality printing machine in the market. We are offering table top batch printing machines to our clients with high class materials and best quality. These table top batch printing machines Consistent high image quality and produces sharp and clean images. These table top batch printing machines we are providing to our clients with very reasonable range of prices. We are one of the trusted names in the market engaged in offering a high quality range of High Speed Batch Printing Machine to the clients. 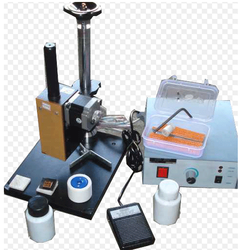 These machines are manufactured using high-grade raw material, in adherence with the international quality standards. Widely used to cater the requirements of printing, these machines are checked for their flawlessness by a team of our quality controllers. Our range of Pneumatic Batch Printing Machine is made available to the clients in varied specifications. These printing machines are designed and fabricated by a team of proficient professionals, in compliance with the international quality standards. Moreover, with the aid of our strong logistics support make sure to timely deliver the ordered products at the clients' end within the promised time frame.